Since purchasing my first bell from Urban Route 66, I wanted to share the legend of the Guardian Bells with others. 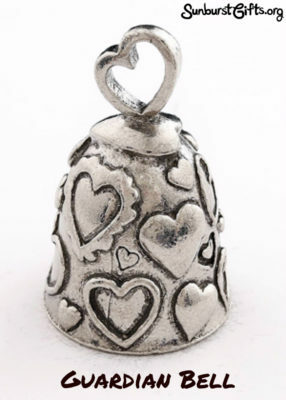 I gave a bell with a praying angel design to a friend who was struggling with a serious illness. My brother rides a Harley motorcycle and for his birthday, I’m giving him a Harley riding bell and an American Eagle Live to Ride bell. You can never have too much luck riding motorcycles! 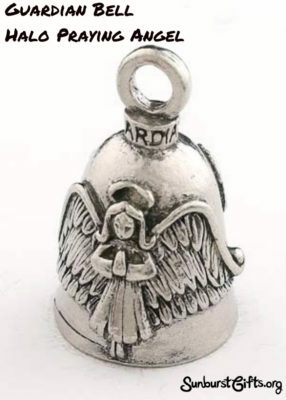 Many bikers attach Guardian Bells to the bottom of their rides. It’s a custom believed to ward off mishaps and mechanical failures caused by evil road spirits. I love to support products Made in the USA, and these pewter good luck charms are from Phoenix, Arizona. 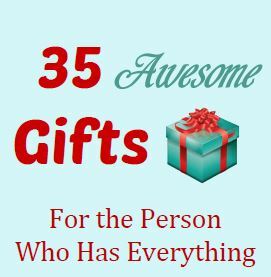 For a thoughtful gift, choose a Guardian Bell design that matches someone’s style, and present them with a dose of good luck.